Kaya is the project of Kathrin, born in 1987 in the town of Burglengenfeld, Germany. 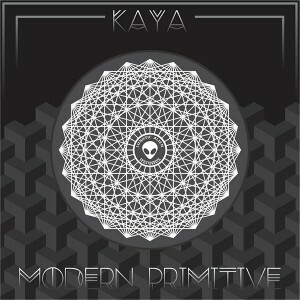 Modern Primitive, her debut release, is proudly supported by Lunatic Alien Records. A single listen will immediately reveal the kinds of stories she is interested in telling. As you progress through the journey you will become aware of her shape-shifting abilities, something that the modern primitives were accustomed to. We can expect much more powerful music from her in the future as her understanding and arrangement of sounds with the weirdest of frequencies continues to grow. MP3 Download | FLAC Download | WAV Download · Download count: 8,876. Halfway through the first song, instant download. I’m a sucker for quality hi tech, and it’s so rarely produced with such finesse. Hope to hear more from you. “Quality hi tech” seconded. Haven’t heard such elaborate programming in years. Is there a live PA being toured? I’d sure like to see it. ich finds prima! fein gemacht! Such awesome skill in production and programming , Hi-Tech Quality Indeed !! Cool release, Instinct & Pattern Theory = Killers! Love it so much. It’s real good, you can hear that it makes you fun to do it and that you love what you do. So please don’t stop with it. This album just blows my hair back. Those last 2 songs – dayum. Great trip’s! Thank u very much for sharing this files!